International athletes couldn’t match Kenosha’s Jamie Young in the World SpeedGolf Championship. 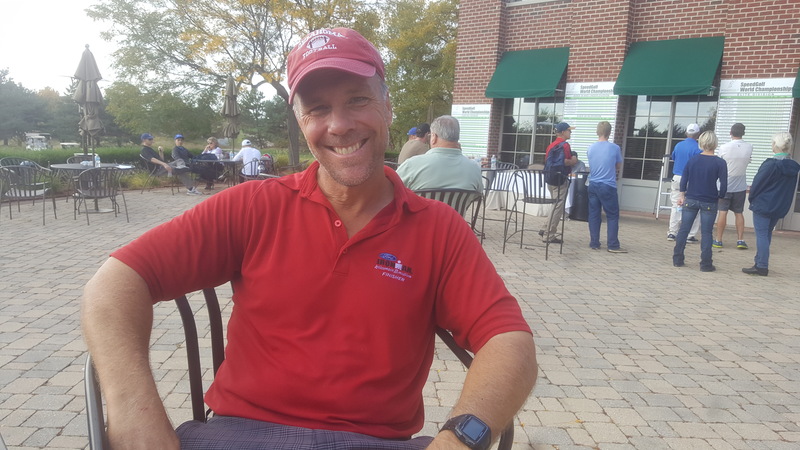 GLENVIEW, Illinois – SpeedGolf, a sport created 14 years ago, combines a player’s golf score with his time covering 18 holes – and Jamie Young is good at it. So good, in fact, that he’s now the world champion. 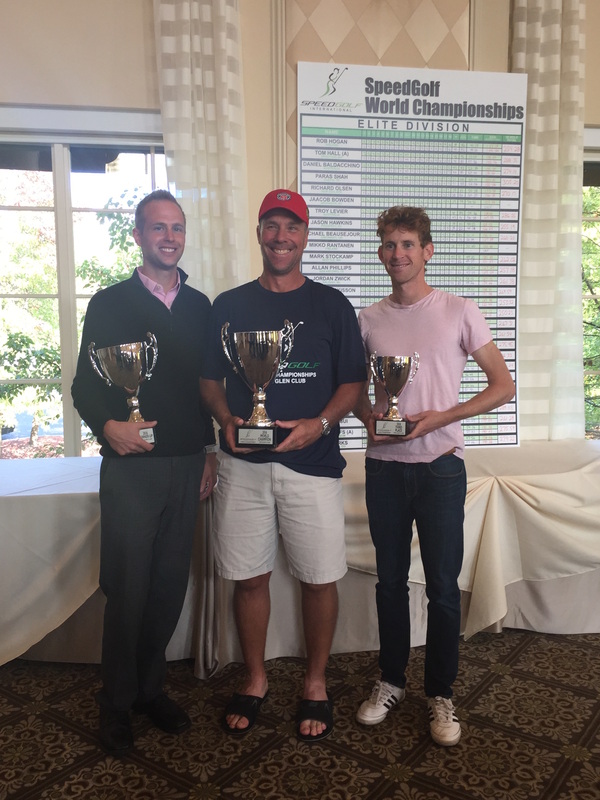 Young, 52, from Kenosha, WI., won the World SpeedGolf Championship at The Glen Club on Tuesday. He shot rounds of 72 on Monday and 77 on Tuesday while averaging 10 minutes 20 seconds per mile. Each round consisted of about five miles running and Young’s scores and speed together were good enough to beat 28 other competitors in the Elite Division in an event that drew athletes from 19 states and six countries. The problem for Young comes in how to deal with the prize money. A $40,000 purse, put up by prominent Chicago golf course creator Mike Keiser, was offered at the World SpeedGolf Championship but Young couldn’t claim the $10,000 first prize because he chose to compete as an amateur. Young is a golfer first and a runner second. He played college golf at the University of Oklahoma in the 1980s and was introduced to SpeedGolf five years ago when a friend encouraged him to compete in an event in Richmond, Va.
As was the case in the World Championship, there were amateur divisions at Richmond and Young posted a time that beat all the professionals. He received a nice trophy but Ireland’s Rob Hogan pocketed the $10,000 first prize. Young went to the U.S. Golf Association to regain his amateur status, which would allow him to play in the big state golf events in Wisconsin again. He did play in last year’s World SpeedGolf Championship at The Glen Club and finished sixth, but he couldn’t touch the $2,500 prize that went with it because he was an amateur again. Last January the USGA announced a rule change that would allow amateurs to donate their share of money won to charity, so Young made donations to his local Rotary Club and a church group. He’ll do the same with the first place money earned this year but he hasn’t ruled out a return to the pro ranks. “If they get a tour going I might re-consider,’’ he said. He was one of four amateurs to compete in the Elite Division at The Glen. In the meantime Young is keeping both his golf and fitness level in top shape in a variety of ways. He plays most of his golf at both Strawberry Creek, a private club with about 200 members that is owned in part by ex-Bears’ center Jay Hilgenberg in Kenosha, as well as a nearby public layout, Spring Valley. A 1-handicapper at Strawberry Creek, Young has won the club championship four times and his three sons are his main rivals each year. The owner of his own investment company, Young has also competed in the Ironman Triathlon five times and has completed numerous marathons, most notably the big ones contested in Chicago, New York and Boston. SpeedGolf presents a different challenge than those more traditional endurance sports. Young competes with six clubs in his bag. Each athlete runs by himself, accompanied by timers and scorers, with tee times eight minutes apart. He did that with an even par round on his first 18 holes and was 5-over in Tuesday’s second round in edging closest rival Wesley Cupp, of Rome, N.Y. Hogan finished fourth in defense of the title he won at The Glen last year. If speed were the major consideration Young would have done just fine, too. He has played 18 holes at Strawberry Creek in just 56 minutes. He likes early-morning tee times, which allow him to get to his office for a day’s work after playing 18 holes and running four-five miles. “For me it’s a great way to stay in shape,’’ said Young. Runnerup Wesley Cupp and third-place finisher Mack McLain flank SpeedGolf winner Jamie Young. (Photo by Elizabeth Epstein).